One of my favorite things to do is go fishing—and I picked a great place to live for that. Mexico hosts some of the best fishing in the world, and Cabo San Lucas is Mexico’s most popular fishing destination. 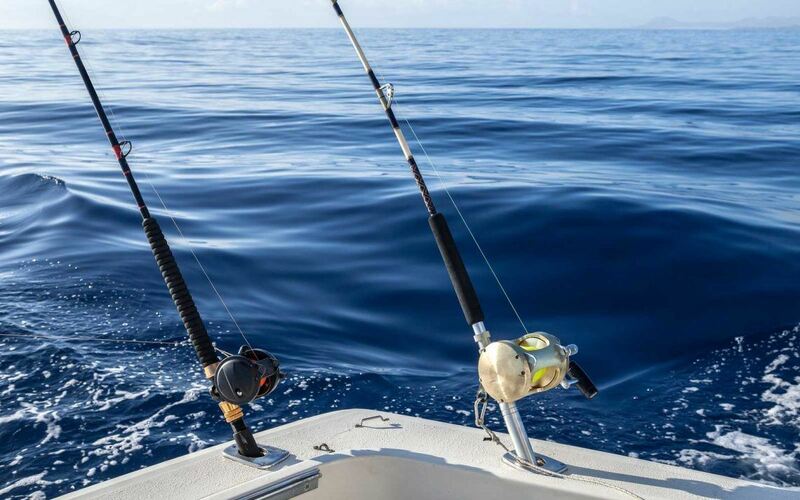 Thousands of tourists flock to Cabo each season searching for marlin, sailfish, dorado, wahoo, yellowtail, snapper, corvina, and more than 500 other fish species. Cabo fishing sites even hold several world records for the largest fish ever caught. What can I say, we grow them big here. Los Cabos, in particular, is one of the largest fishing destinations in the world. Our peninsula juts out into the confluence of the Pacific Ocean and the Sea of Cortés. As a result, more than 50,000 marlin and sailfish are caught here each year. June through December is the prime season for those seeking out a marlin, while April through October is the best time for finding sailfish. No matter when you want to go fishing, something can always be found. Best of all, you don’t even need to go that far out to find your catch. Though fishing the ocean’s greats often means getting up to 40 miles out before the lines can go in, in Cabo San Lucas you only need a mile or two. Our beautiful blue waters come right up to the shore and some of the best deep-sea fishing destinations in the world are just ten miles off the coast. Golden Gate Bank is renowned for the large amount of striped marlin that can be found here. Yellowfin, skipjack, and mahi mahi are also popular catches. Lately there has been an increasing amount of fly fishers taking advantage of the area, so if you want to bring your flies, this is the place. A popular snorkeling site, Gordo Banks is located 5-10 miles from the coast. There you can find wahoo, yellowtail, grouper, mahi-mahi, tuna, sailfish, and of course, marlin. Most of these can be found year-round here, though the peak migration season is between April and November. Only nine miles off the coast (and one of our closest fishing destinations), Santa Maria Canyon is a Cabo fishing favorite. It can also be less crowded than the Golden Gates and Gordo Banks areas, which can attract a large tourist population. If you want to get away from the scene, this is the place to go. One of the more unique eco-landscapes off the Baja Peninsula, San Jaime Bank, is an underwater canyon more than 3,500 feet deep. Underwater caves and mountains attract plenty of tuna and marlin and make for a fascinating day on the water. These are only a few of the fishing destinations in the area. If, like me, you’d like to get your deep-sea fishing in year-round, consider moving to Cabo. The weather is nice and the water is warm. And hey, there are some amazing listings for sale right now. Give me a call if you’re interested in moving, investing, or retiring here. You’ll never get bored of the Cabo fishing—this I can promise.